Hampshire, IL – November 10, 2014 – Canterbury Farm and trainer Greg Franklin of Hampshire, IL, have wrapped up the 2014 show season and have plans to head full speed into the 2015 season. With new staff and customers in tow, the show stable is organizing for some time in Florida this winter and looking forward to a successful 2015. The farm has added Margo Lyons as their new barn manager. 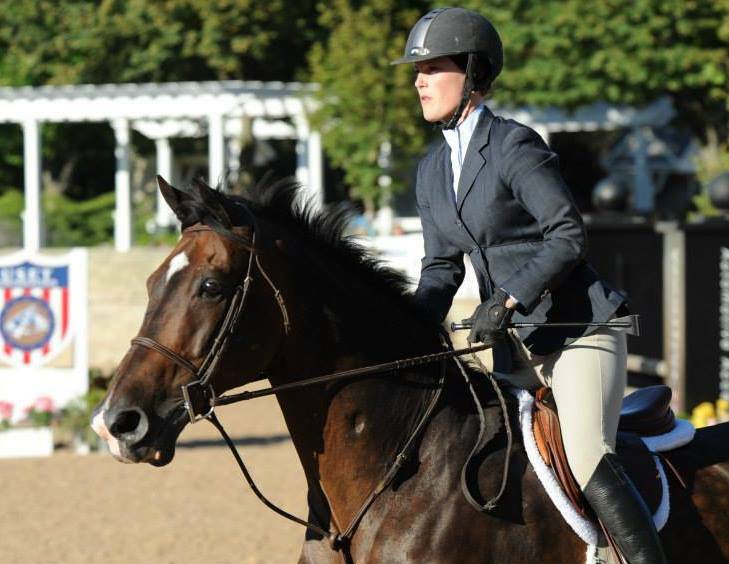 Lyons rode with Franklin and Canterbury Farm as a junior rider, qualifying for the medal and Maclay finals as well as earning many championships in the junior hunter division. Lyons is working to finish her college degree while taking the opportunity for the hands on experience that the Franklin family is giving her. New barn manager Margo Lyons. Canterbury Farm would also like to welcome new customers Katie Heywood, Lesley Quillen and Sharon Brown. Heywood has two jumpers and currently competes in the adult jumpers working on moving up to the Amateur Jumpers. She has Balida, a 7-year-old Dutch Warmblood imported from Holland two years ago and Big Bill, a 14-year-old Canadian Warmblood she’s had for 7 years. Heywood is from Three Oaks, MI, and drives two and a half hours once a week to train with Canterbury. She owns and runs a property management company in Niles, MI. "I am so happy to be here and riding in such a great program. It’s a beautiful facility and my horses are really happy here. Riding with Caitlyn and Greg is always such a positive and encouraging learning experience. I’m very much looking forward to showing in 2015!" Brown, of Chicago, owns an Amateur Owner Jumper, Carapaccio, and a Roc USA baby named Thunderstroc. Carapaccio earned the USEF Zone 5 Low Amateur Jumper Championship for 2014 and placed third in his first Mini Prix with Brown. Thunderstroc is a promising young horse Brown bred to complete a childhood dream of hers to breed and raise her own horse. Brown is the Regional Controller at Corning Incorporated and the Financial Controller at Brock Group. 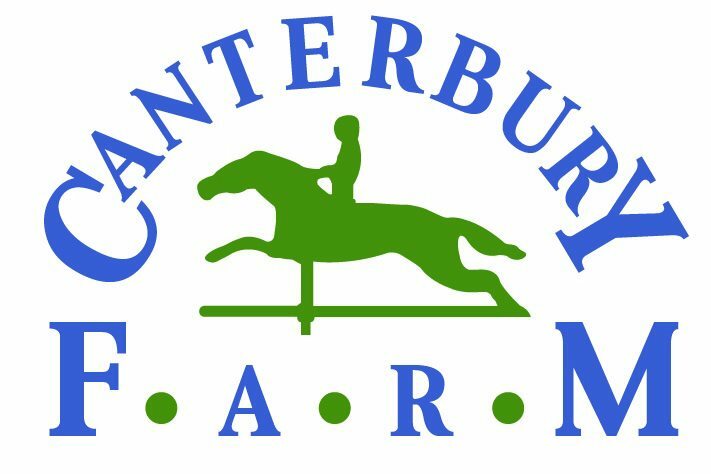 "I’m so excited to be a part of the Canterbury Farm team. What attracted me to the farm and the program was the quality of care, the picturesque property and the great training,” said Brown. Quillen, 23, of Geneva, IL, shows her Amateur Owner hunter, Timeless, a nin-year-old Dutch Warmblood. 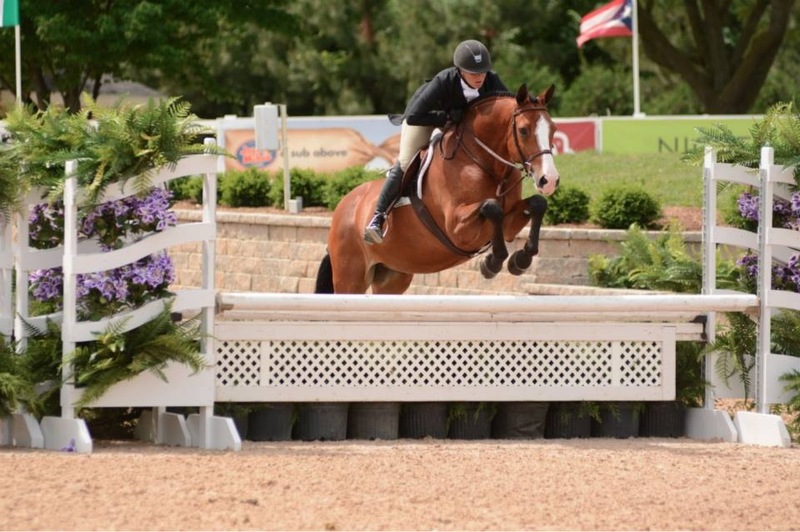 Quillen showed in the 3’3” Amateur Owners this last summer and was ready to move on to a more focused program to help develop both herself and her horse. The horse and rider team started together last spring and and hope to try some Hunter Derbies this year. Quillen graduated from Illinois State University in 2013 and is the Branch Administrator at Randstad Technologies. Caitlyn Shiels and Michelle Durpetti's Kenya. 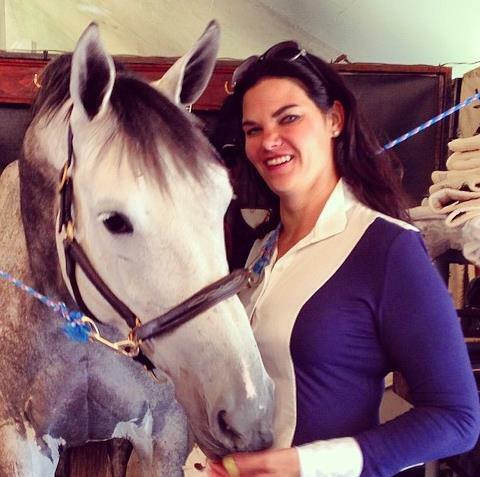 "We look forward to welcoming new clients for the 2015 show season,” said assistant trainer, Caitlyn Shiels. "I absolutely love working with Greg to help our clients and their horses achieve their competitive goals." "We will be traveling to Florida this year and showing both in Ocala and Wellington," said Franklin. "After the winter circuit, our riders have the option to compete at top horse shows in places like Kentucky, Michigan, and a host of other great destinations for both horse and rider or they can choose to stay local and compete at some top local Chicago shows." Canterbury Farm is also happy to welcome Mariano Bedoya Show Stables and Luciana Solari as new tenants at the farm. “We love everything about being here,” added Solari. “We are ecstatic! My horses love it, my dogs love it and our clients love it! We feel very welcome and could not be happier." Canterbury Farm is proud to offer great opportunities for equestrians beginning to show at entry levels all the way to the advanced levels. 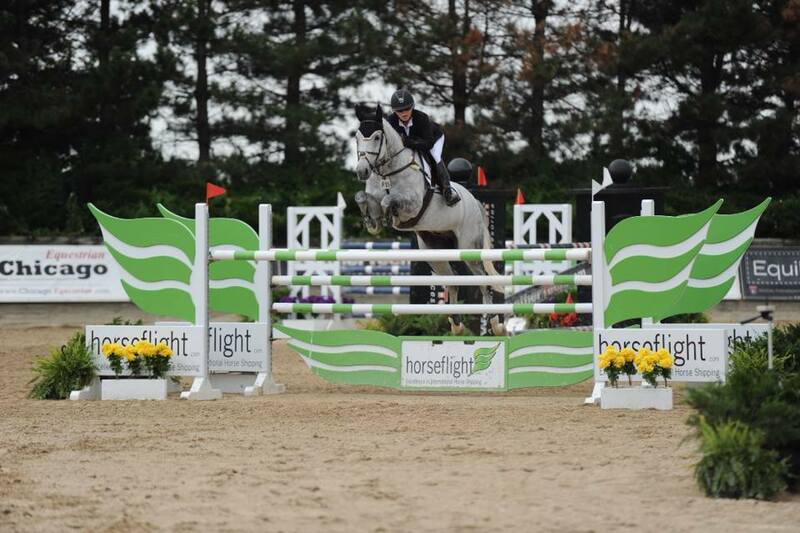 The Canterbury team is dedicated to bringing out the best in each horse and rider and has had success in the hunters, jumpers and equitation, resulting in local, regional and national championships. For more information on Canterbury Farm please visit www.canterburyfarmchicago.com. 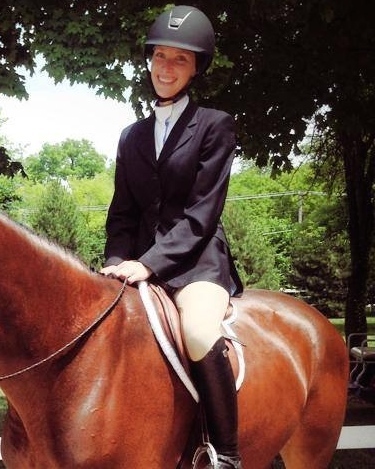 About Caitlyn Shiels: As a junior, Shiels rode with Andre Dignelli at Heritage Farm in Katonah, New York, during which she finished in the top ten in all major equitation finals. In 2004, Shiels was a double gold medalist in both the team and individual NAYRC, which launched her into her career as a professional trainer and rider. After achieving this success, Shiels apprenticed under such professionals as Andre Dignelli, Mclain Ward, Ken Smith and Kate Stoffel-Oliver to name a few.